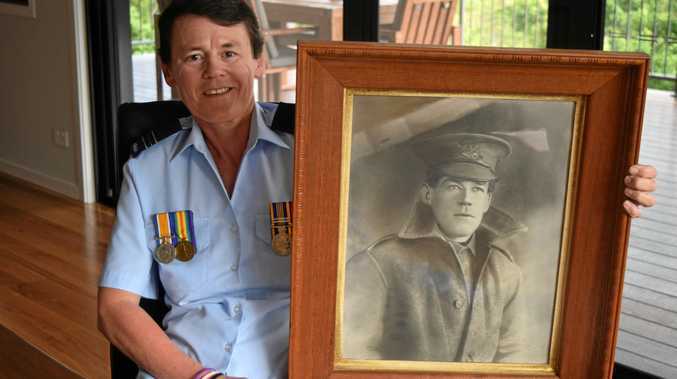 This photo has gone viral for all the wrong reasons. A PHOTO of Donald Trump posing with a group of White House interns has gone viral for the wrong reasons. 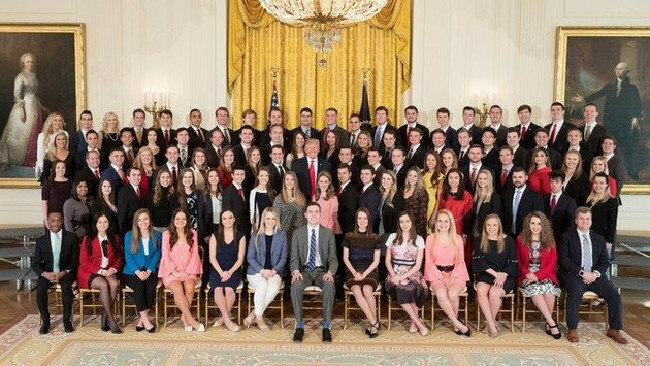 The White House released a photo of the spring 2018 intern class, with the smiling President surrounded by 91 members whose duties will include research, managing events and drafting memos. But Twitter users have picked up on something that's difficult not to notice. The vast majority of the interns look kind of ... beige. Cletus-and-Brandine beige. Every-contestant-on-The-Bachelor beige. This is the official photo of the 2018 White House Spring intern class. "Well the program should be based on merit, not race!" you bellow into your screen. But it's worth noting that 40 per cent of the country's population is non-white - a statistic that doesn't even come close to being represented in the competitive program. Some people compared it to former president Barack Obama's intern programs, which were more diverse. The Washington Post points out that some of Mr Trump's lowest approval marks came from people of colour, suggesting the lack of racial diversity could have been based on a lack of interest. An Edison Research survey in 2016 found that just 21 per cent of non-white people voted for the Republican leader. It's just another nail in the coffin for an administration plagued by scandal over the issue of racial diversity. The President has previously pledged to build a wall to keep Mexicans out of the United States, imposed a ban on immigrants from seven predominantly Muslim countries, and made headlines in January when he questioned taking in people from "s**thole countries", referring to African nations and Haiti. Earlier this month, The New York Times reported Secretary of Urban Housing and Development Ben Carson struck the words "inclusive" and "free from discrimination" from his department's mission statement. Last year, a photo of Vice President Mike Pence addressing a group of predominantly white summer interns was similarly condemned online.